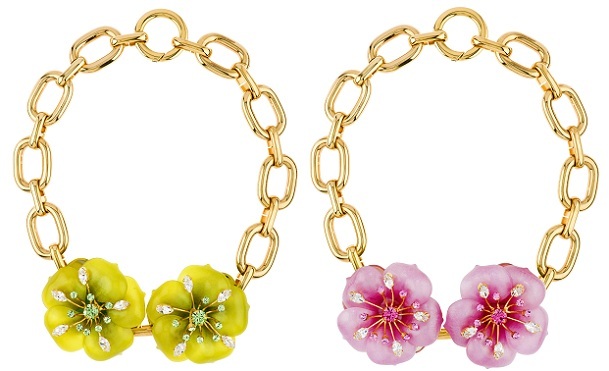 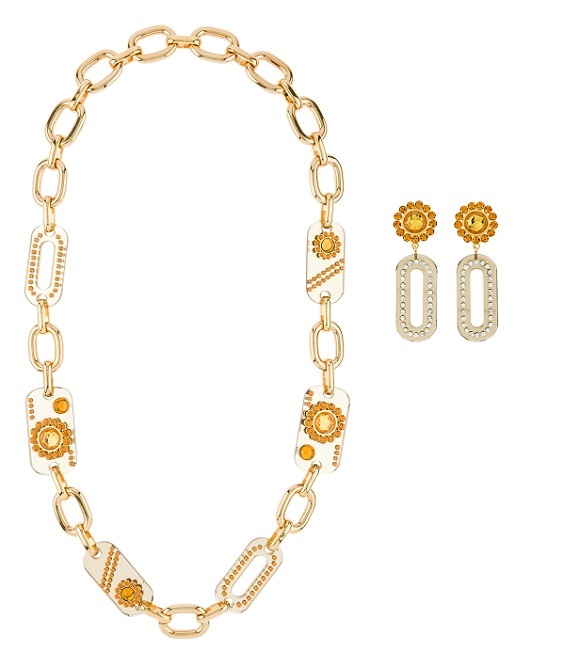 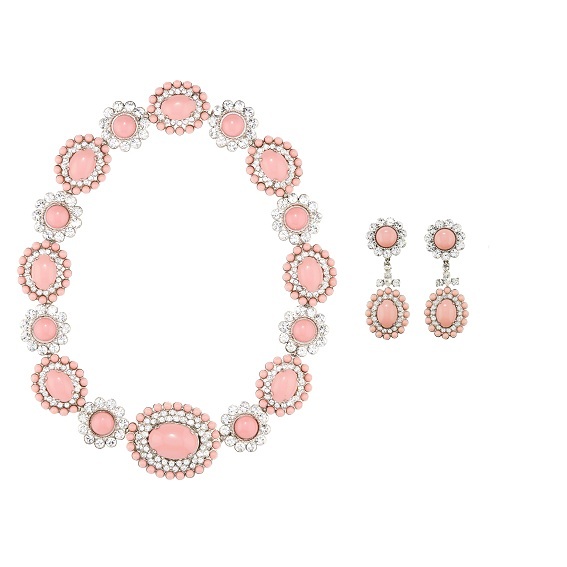 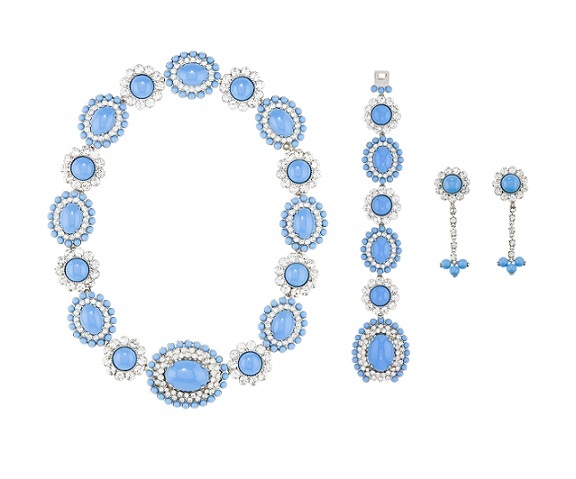 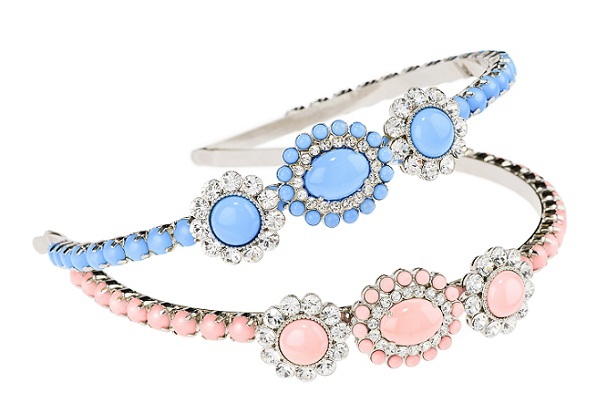 Miu Miu new Jewels collection plays with shapes and dimension of bijoux, making them oversized. 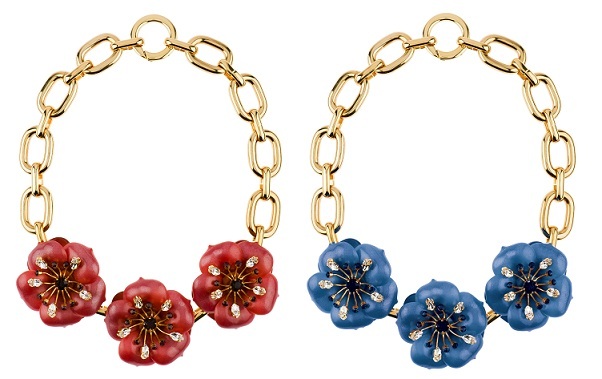 Floral decoration chains and crystal become macro using unusual combinations in a sophisticated play of contrasts. 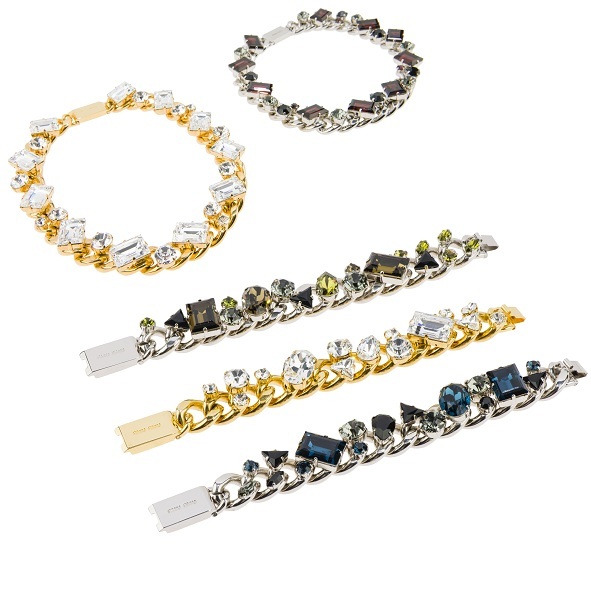 Satinized plexi blends with the gold shine of the necklace and earrings, crystals and colored stones enhance the hair bands, necklacs and bracelets are available in chrome metal.